Alison Wonderland (what a name, by the way) is not only a successful DJ and producer, she is a classically trained cellist, and aspires to one day score music for movies. She possesses this rare musical-emotional drive that I’ve only seen in a handful of artists; perhaps this is why her audiences are so engaged in her performances? to grow that internationally sometime soon. And why not? Then there’s Run, her debut album, released on Virgin EMI back in March 2015. Not only did it debut at the top spot on both the iTunes and Billboard Electronic chart, but such is her respect and organic growth within the DJ circuit, she has also released a deluxe edition: a major collaboration project with a string of recognised names in record production, each of whom has put their own touch to a track from the record. Run showcases Alison’s songwriting prowess as well as her production skills which, I’m about to find out, is what she is all about. Emotional. Energetic. Engaging. As I sit down with Alison in the newly refurbished club lounge in London’s Langham Hotel - way too grandiose a venue for the both of us, we decide – I quickly learn that even spying a pot of honey can be an emotional experience. Alison is immediately charming, and entirely humble. She starts talking about how ‘super-fortunate’ she is to have met so many cool people in this business, and laughs at how ‘they’re all very nerdy’, including herself. In terms of musical taste, Alison sits somewhere between The Beatles, jazz, punk, pop, rock, dance, and electronica. Quite a mix. “Once, my mum made me a paper mache costume of the octopus from Octopus’s Garden, so I think it’s a shame not to mix things up! [smiles] The people that are closed minded and don’t want to open themselves up to other genres are missing out. I started off doing genre-free stuff at the beginning; I was DJ-ing at indie nights, and back in the day, that meant electro, hip hop, everything. So that’s where I started as a DJ, but as an artist, I started producing because I fell in love with [Swedish electronic duo] The Knife. That’s the first electronic thing that really spoke to me. LCD Sound System is one of my favourite bands, too. 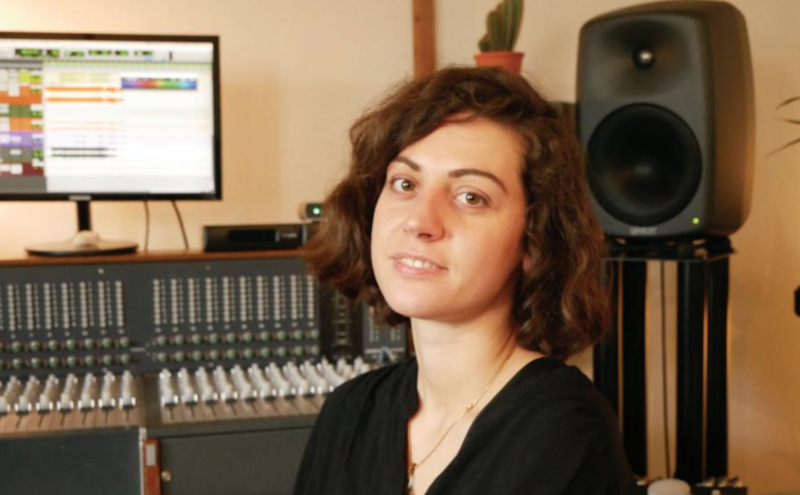 When making music, Alison turns to Ableton Live. She uses a couple of soft synths, and has various bits of hardware, too: Access Virus, T12 Polar, and a Juno 106, to name a few. Some of her recent projects include remixes for Duke Dumont, and Justin Bieber. With the Duke Dumont remix she even wrote a string quartet using MIDI strings. And what about the songwriting? Alison professes that you don’t need a fancy studio to make music: “just your ears, and your mind, and you can create anywhere,” which brings us onto her previous alias, Whyte Fang. As a producer, Alison considers herself more of an artist than a scientist. So the artistry comes from those classical genes? “I am a raw performer, and the best thing I ever decided to do was never worry about what I look like when I’m on stage. So in any photo, I’m always like [raises arms in the air, closes eyes, grimaces, then laughs]. It’s the most comfortable I feel, being on stage. At a party, I’m always the one at the side, near the catering, the quiet kid in the corner; but on stage I’m all ‘rahhh!’, and I’ll wear a t-shirt that has a conversation starter on it. So what’s next for Alison Wonderland?